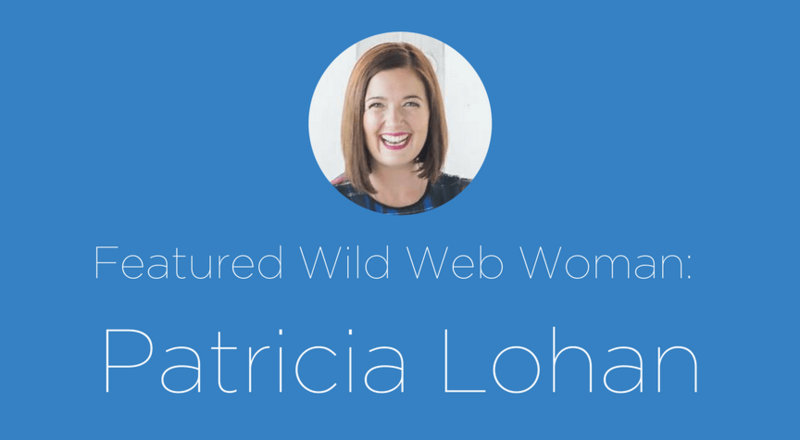 Meet Wild Web Woman Patricia Lohan, transformational business and life mentor! She helps women accelerate success through creating powerful environments. She shows you what they don’t teach in business school, what lies between the lines, and your top secret tools for success. 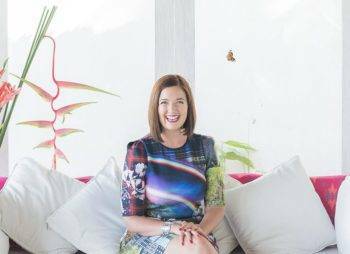 She is a Feng Shui expert, a healer and passionate female entrepreneur who has shaped her dream life living in Bali with her husband. Patricia has seen first hand the power of the mind, surroundings and inner healing, clearing and aligning everything so it works holistically. An incredibly spiritual person but also highly practical too. She loves entrepreneurship, with 15 years of experience running and growing three successful startups of her own. What inspired you to launch your web-based business? I adore travel and at 17 I lived in France for a semester; at 18 I moved to the Philippines on my own for an internship; at 21 I worked for a year in Tokyo; at 23 I set up a business from the ground up with my dad and sister – I was 24 and I had 30 staff and ran that business for nearly 6 years – until I had a life crisis – quit and moved to India to become a yoga teacher. Then at 29 I lived in India for a year and had a spiritual awakening and at 31 I moved to Dublin, started my life and business from scratch with 50 euros – nowhere to live and not a clue what I was going to do! I ended up setting up a holistic bricks and mortar business which was super successful. I became the go-to girl for sound healing in Dublin. I trained 30 people to become sound healers and had lots of clients and did great work. But I was stuck and wanted to travel more and live a different lifestyle. My husband and I had just gotten married, finished our house, and decided it was now or never. 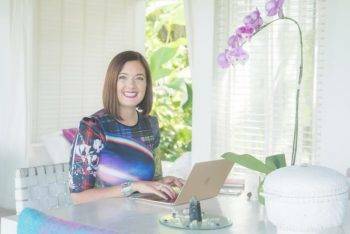 I had been working doing Feng Shui consults as part of my business for several years but decided to try do it online and it worked! How has your previous employment experience aided you professionally? I started my sound healing business in Dublin with 50 euros, a maxed credit card, and built it to $80,000 per year on my own which I was really proud of. I am brave, persistent and only do what I am super passionate about. Since this wasn’t my first business I really leveraged what I had learned from my previous business about helping people, showing up and just believing in what you do. Do you weave your values into your business? How? My entire business is built on my passion for what I know can truly transform people’s lives. I am honest, I walk my talk and have a very holistic lifestyle. What is the best part about being a web-based businesswoman? Apart from living in Bali, my mind has been totally expanded being in the online world to the immense possibilities for growth! I have clients all around the world who are embracing Feng Shui and making incredible shifts. Also, I get to travel more! Last year I went to Australia twice, the States twice, Singapore, Malaysia – to name a few. What is the most challenging part of being a web-based businesswoman? Being on the computer all the time and getting addicted to social media. Since our clients are worldwide, I could be answering questions 24/7. I am an incredibly extroverted person so I do love face to face time. I have started two events in Bali which bring people together. What is your favorite way to unplug from work? I love yoga, reading, journaling, and going on an adventure with my husband. How do you maintain your health? I practice yoga on the weekdays. I love coconut juice, supplements, green smoothies and wine on the weekends! What is the wildest thing you have ever done? I think moving to the Philippines when I was 18 on my own for an internship was pretty wild. Quitting my secure job and life in Ireland, then moving to India and becoming a yoga teacher also turned a lot of heads. What three web tools can you not live without? I’m not a big tools person – I keep it simple: Gmail, Facebook and WhatsApp. What helps you increase your productivity the most? Writing a list and turning off social media. Do you have any personal “wild web” role models? Denise Duffield Thomas has been a role model of mine from the first day she started her online business. We have been friends for nearly 20 years. Her course is amazing! Her attitude to business and how she has grown her business blows me away. What are some risks you have taken that resulted in positive outcomes? Where do I start? I am an all or nothing kind of girl. I think the biggest risk is the investments I have made into different things! What is the most important lesson you’ve learned in your career to date? Listen to your gut, keep doing the inner work, and show up sharing your passion and you’ll never make a wrong turn. How do you maintain a work/life balance? We have a “no-technology in the bedroom” rule. Once I am finish for the day, I am finished and try not to go back to work. I also schedule things outside of work: meeting friends, massages, manicures, energy healing sessions and I schedule my holidays far in advance. I practice yoga every weekday which sets me up for the day and gets me out of the house. Also, I take private qi-gong lessons twice a week with my husband to end our days. Business-wise, where do you see yourself in ten years? I see myself as an author of several best selling books, a highly sought after paid international speaker and a leader of women retreats globally. Where’s your favorite place to work from? My desk. Our house is Feng Shui’d and I try to only work in my office so that I can maintain a balance between work and home life. How do you make your home a productive space to work? We have a very clear space in our office – no clutter and inspirational art on the walls. I sit in my power position on a comfy chair so I feel supported. I try to keep my desk as clear as possible. I have a photo of my husband, my angel cards, water bottle, Goddess Fortuna statue, my to-do list, sparkly pen, and a Jo Malone candle which I love! 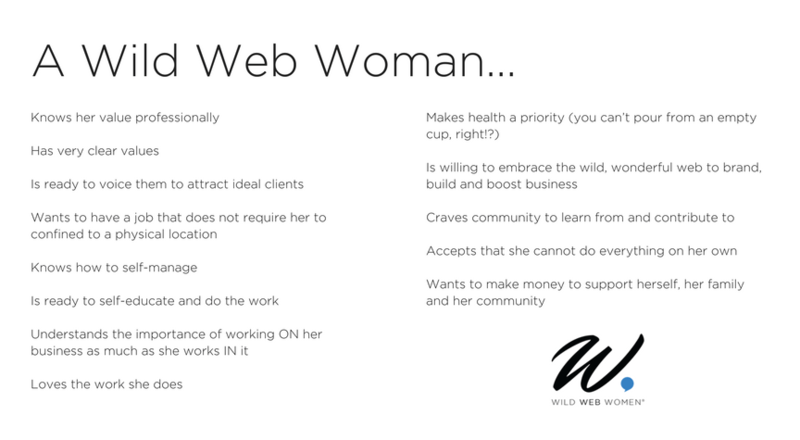 What is the #1 piece of advice would you give to someone who’s aspiring to run a web-based business and be a Wild Web Woman? Pick something you are soooo passionate about that you would talk about even if you weren’t getting paid for it and then go for it. Show up, share your passion and be persistent! You won’t feel like you are working and your business will flourish. Thank you for the interview, Patricia! Make sure you check Patricia out at www.patricialohan.com or follow her on Facebook, Instagram, Twitter, LinkedIn, or YouTube!